Soak up Some Rain on the Beach – Bangalore Monsoon Getaways - Ghumakkar - Inspiring travel experiences. The monsoons are a rejuvenating experience as the forests and countryside of India gleam with life and the chirps of birds and insects. From Bangalore, there are many rainy season escapades that can be planned. Although one would associate the coasts with sun and spray, the shores of India provide some of the most dramatic scenes when the rains hit. This is also the time when the temperatures drop and the tourist crowds thin out – ideal for a getaway. Pondicherry is a unique destination in so many ways. The Union Territory boasts an idyllic vibe when compared to its neighbouring states, and the French colonial influence has added to the aesthetics in every turn. The Rues of the French Quarters need a bit of exploring – hidden amongst them many heritage buildings, quaint bakeries and hotels. 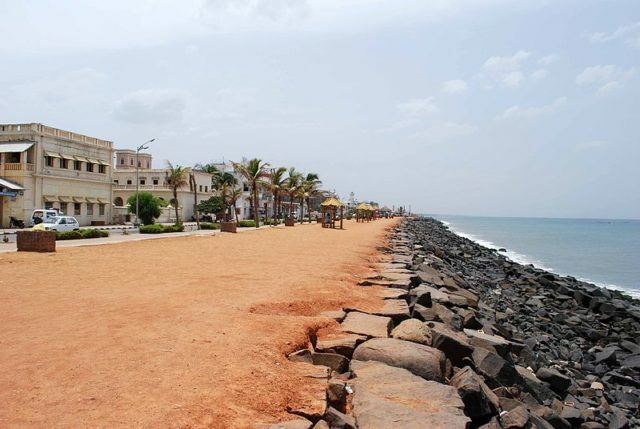 The promenade facing the Bay of Bengal is a delight to visit – grand monuments on a wide open walkway dotted with quintessential Pondy vignettes like the policemen in kepis. Driving on the East Coast Road looking for the local beaches is another recommended activity. Rent a car rather than depend on the rather inconsistent public transport in Pondicherry. Driving here is a pleasure as terrain changes from straight flat roads of the ECR to the hilly trails of Auroville. Auroville Beach and the Matri Mandir are great places to unwind and introspect. The trip by road from Bangalore is an enjoyable one, punctuated with many towns, attractions and good restaurants. Gokarna in the monsoons is worlds apart from the mini-Goa setting it has during the winter months. The route to Gokarna from Bangalore is one that must be experienced. From the plains of the Deccan, the trail melts into thickly forested hilly tracts before it reaches a crescendo at the crashing waves of the Arabian Sea. The road trip is around 500 km and one can make stops at towns like Tumkur and Haveri on the NH48. Gokarna is a temple town, and one can wander around in the main village marvelling the architecture of the spiritual sites. 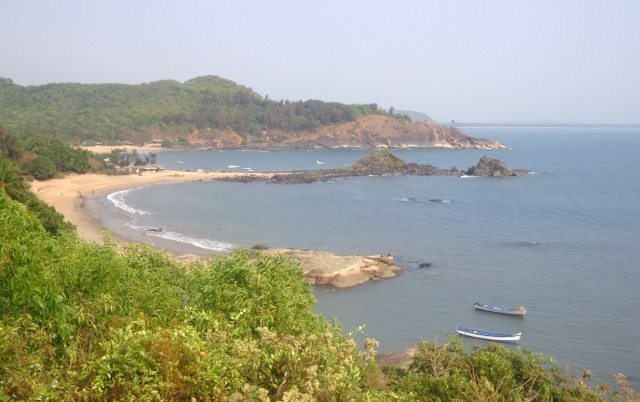 The main beaches in Gokarna are Ohm Beach, Kudle Beach and the very secluded Half Moon Beach. Mangalore is a gateway to many other pristine beaches and shores on the West Coast, and a monsoon trip to this town is never a bad idea. Mangalore is also known for its culinary specialities; one can spend days exploring its iconic eateries and restaurants. Delicious seafood and Portuguese inspired meat dishes are very well-known here along with vegetarian dishes that are unique to the coastal region. There are many reasons why one is recommended to rent a car in Bangalore to fully experience the best these destinations have to offer. Compared with public transport, rentals offer complete privacy and security. Companies like Zoomcar offer 24/7 on-road support along with a wide range of cars to choose from, including sturdy SUVs perfect for group trips. Rates are cheap, and self drive gives travellers the total freedom to make stops and detours. There is no better way to enjoy these beautiful coastal spots. The picture shows why the beach is called OM. Mr. Polu, fifteen years ago, was an auto driver who helped the tourists around the Jaisalmer town. His warm and helpful nature always made the tourists stay with him. 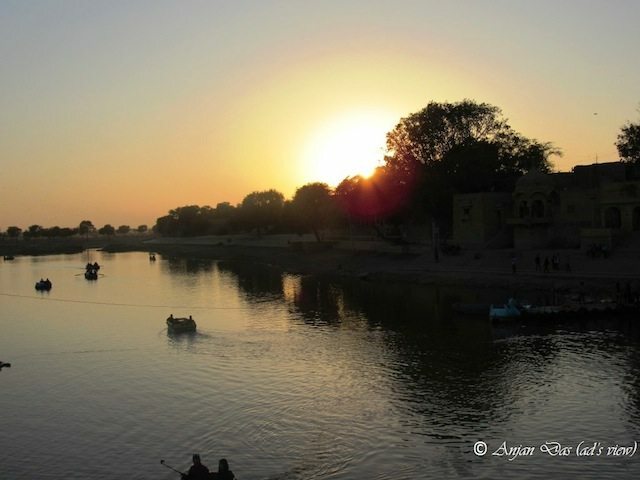 During off-season, one French couple visited Jaisalmer and he chauffeured them. They asked him, what would be his plan for the future? His simple answer was that ‘I want to own and run a hotel’. That couple didn’t buy a property for him, but searched a guest house for him. Gave $2000 as a security deposit for that property and asked Mr.Polu to run that and asked him to carry on his friendly nature.